Renault India has officially launched its entry level hatchback Renault Kwid in India for the price of Rs. 2.56 Lakh. The car will compete with Datsun Go, Alto 800 & Hyundai EON. 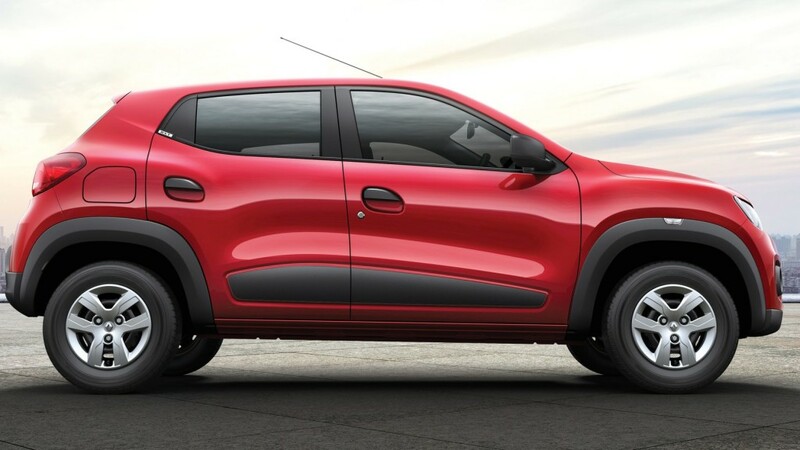 The Renault Kwid design is inspired from an SUV with short front and rear overhangs with high ground clearance. 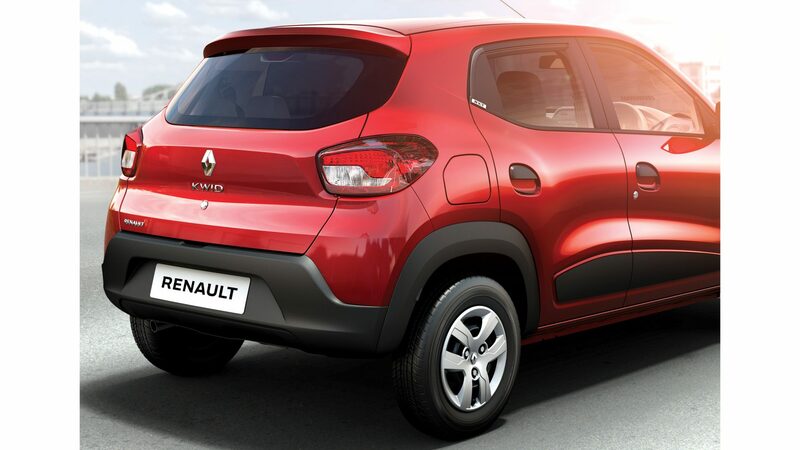 On front, you’ll find bold grille with Renault diamond logo and C-shaped chrome trip headlights with stylish fog lamps. The rear part comes with black trim, integrated roof spoiler to give SUV look. 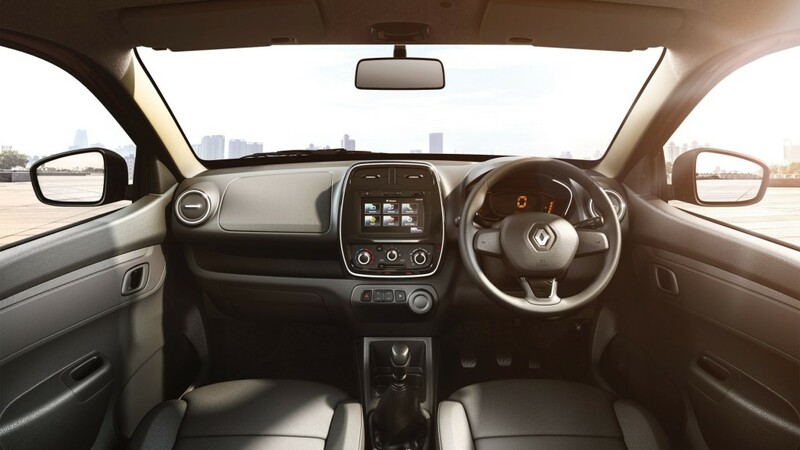 The Renault Kwid comes with dark interior. You’ll find digital instrument cluster, piano black centre fascia with chrome surround and centrally-positioned MediaNav system. 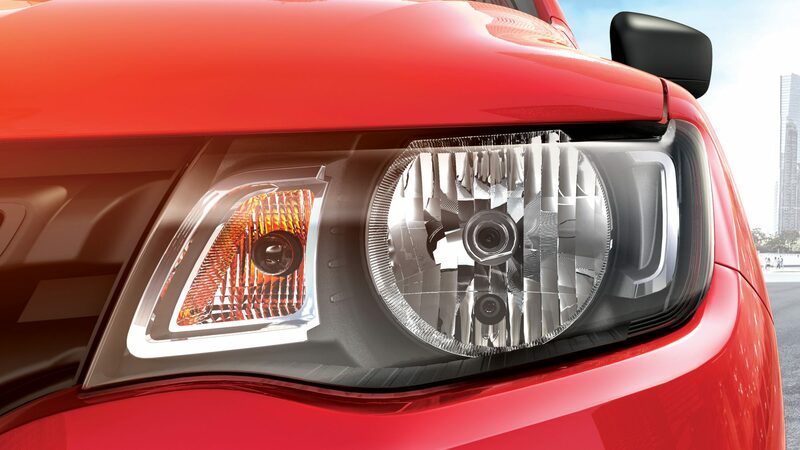 You’ll also find chrome highlights on side AC vents and control knobs. 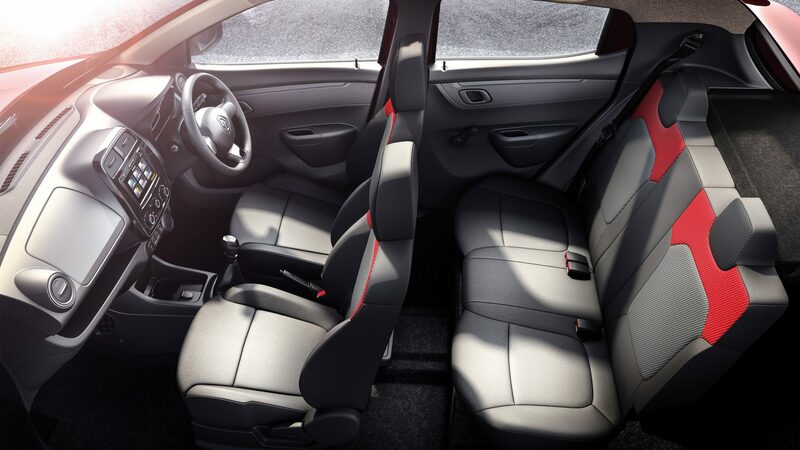 The Black and Red seat fabric also gives car interior a dynamic look. The Kwid is powered by 799cc Petrol engine with 3 cylinders which produced maximum power of 54 PS @ 5678 rpm and maximum torque of 72 Nm @ 4386 RPM. 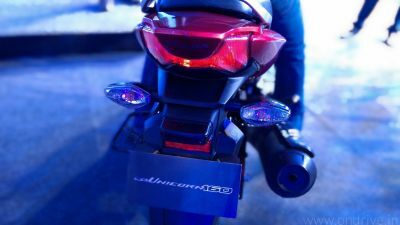 The engine is mated with 5-speed manual transmission. 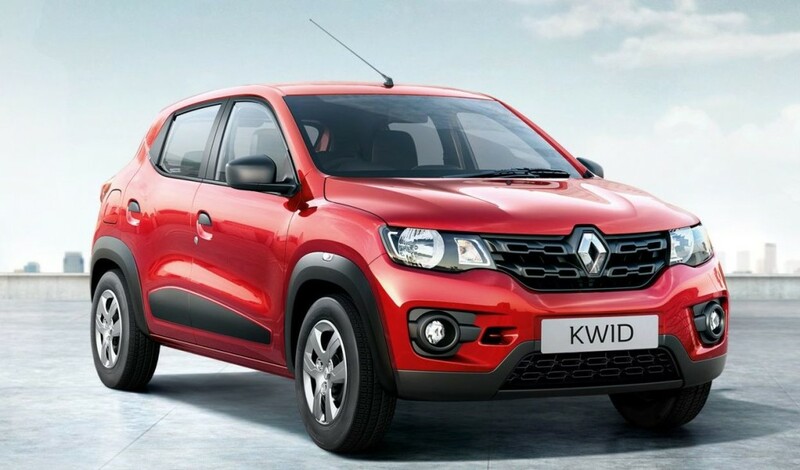 The Renault Kwid comes with four variants and the price starts from Rs. 2.56 lakh. Cool look with not much expensive.Great!